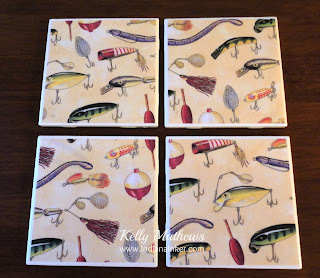 These coasters were fun and very easy to make. I used this tutorial. These were for my son. 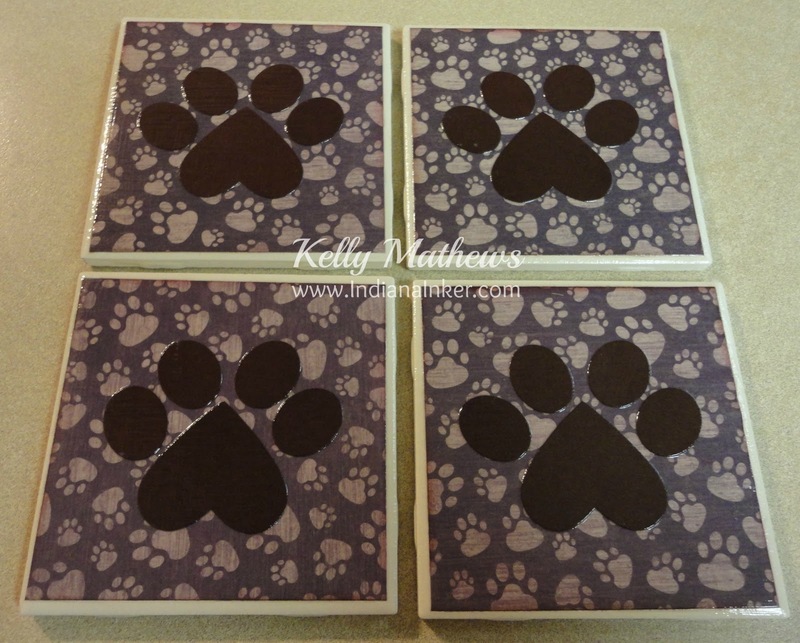 I made 2 sets of the paw prints....one for my dad and his wife and the other for a friend and his wife. The background paper was purchased at Hobby Lobby. For the paw print I used the large heart punch and small oval punch from Stampin' Up! 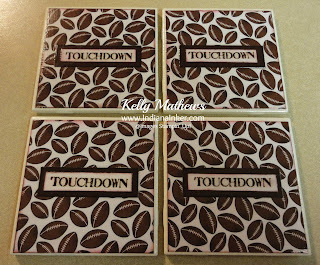 with Chocolate Chip card stock. 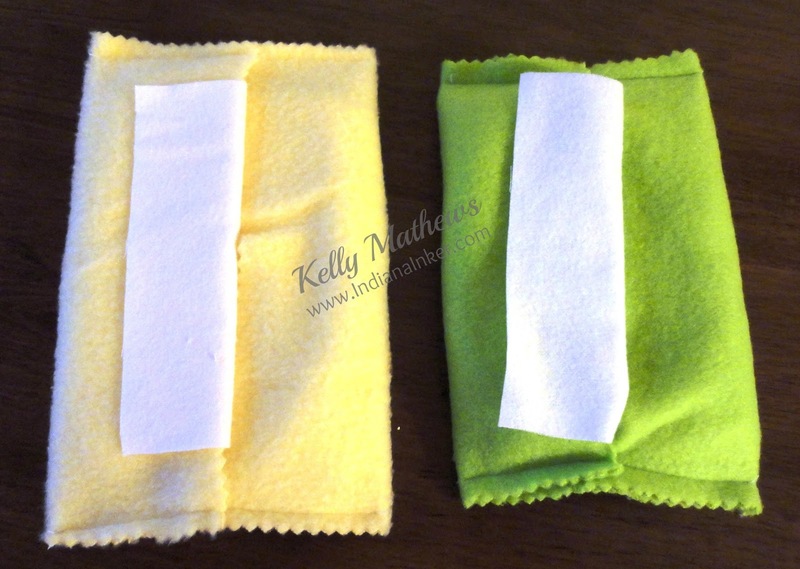 I made these for my oldest daughter and her finance'. They are going to decorate part of their new house in Americana. 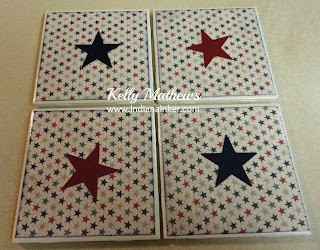 I used the large star punch from Stampin' Up! 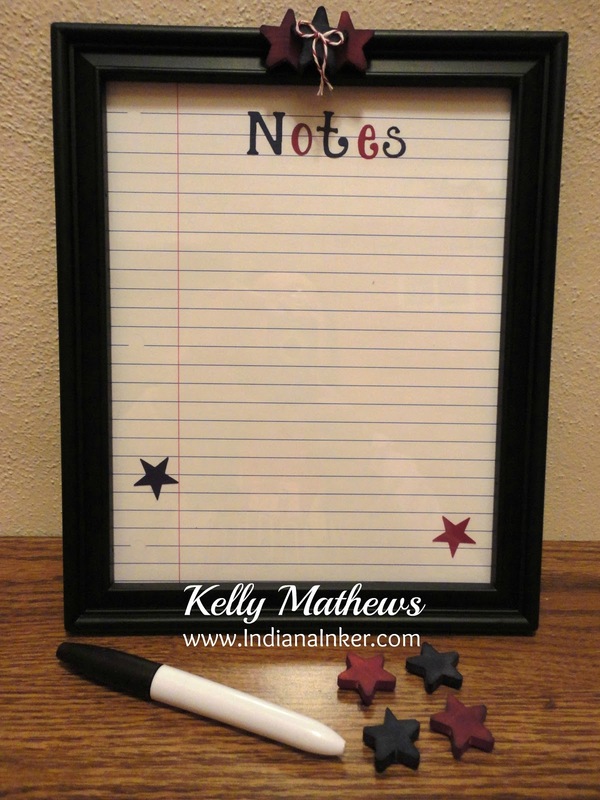 (discontinued) with Night of Navy and Cherry Cobbler card stock. I purchased the background paper at Hobby Lobby. This background paper also came from Hobby Lobby. 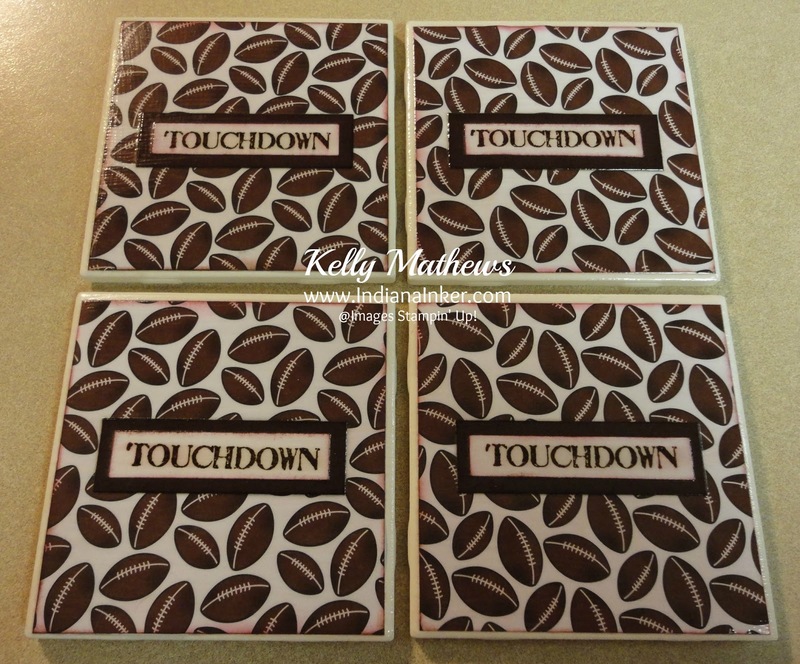 I stamped "Touchdown" (stamp set is discontinued) in Chocolate Chip ink onto white card stock and adhered it to a piece of chocolate chip card stock. I made these for my daughters. These are also very quick and easy to make. 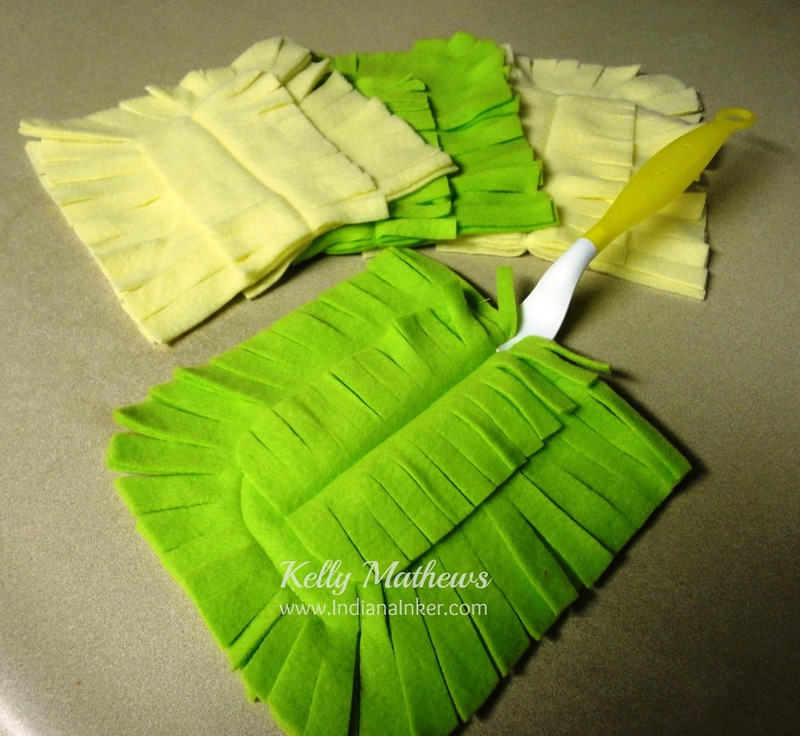 I found the basic idea on Pinterest from this website. I used scrapbook paper that looks like notebook paper. I used my Big Shot die cut machine to make the word "Notes". 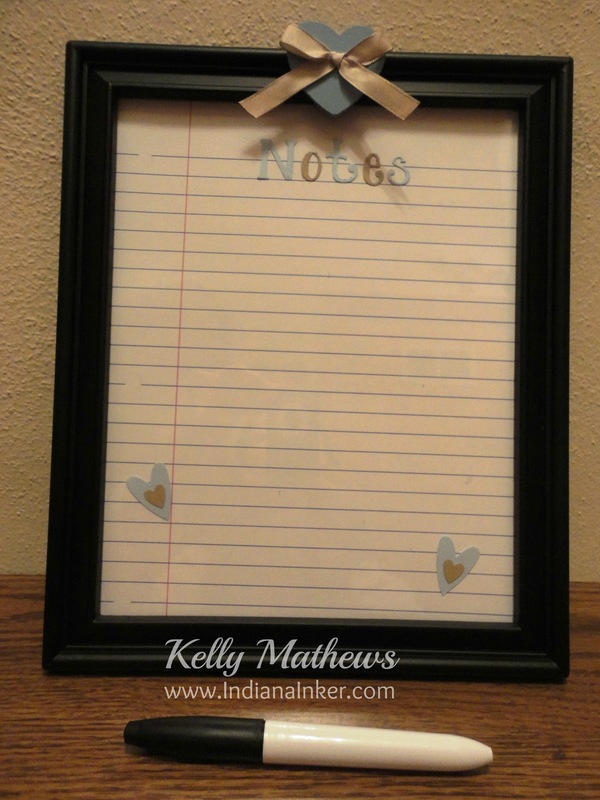 I decorated the frames, then added magnets to the back. 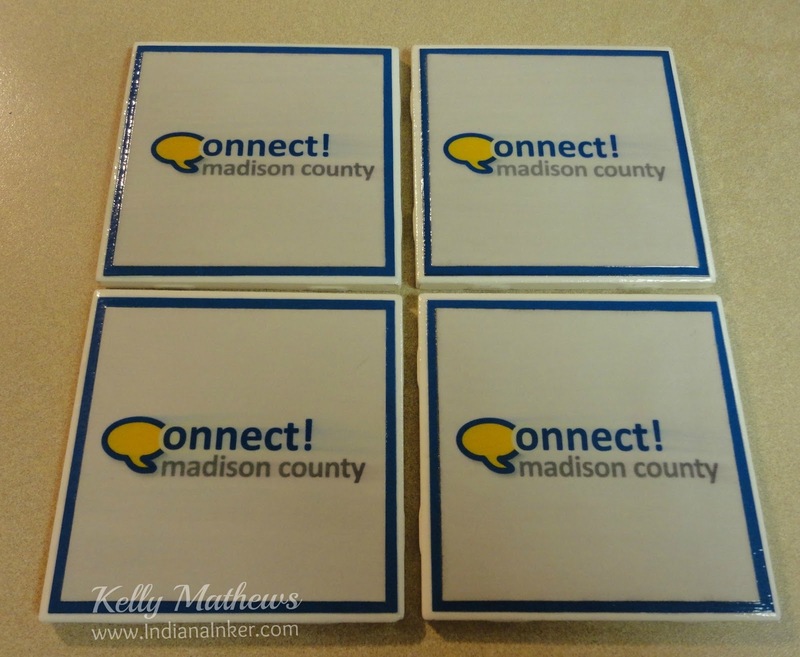 I also made each of them matching magnets (I forgot to include them in the top picture). 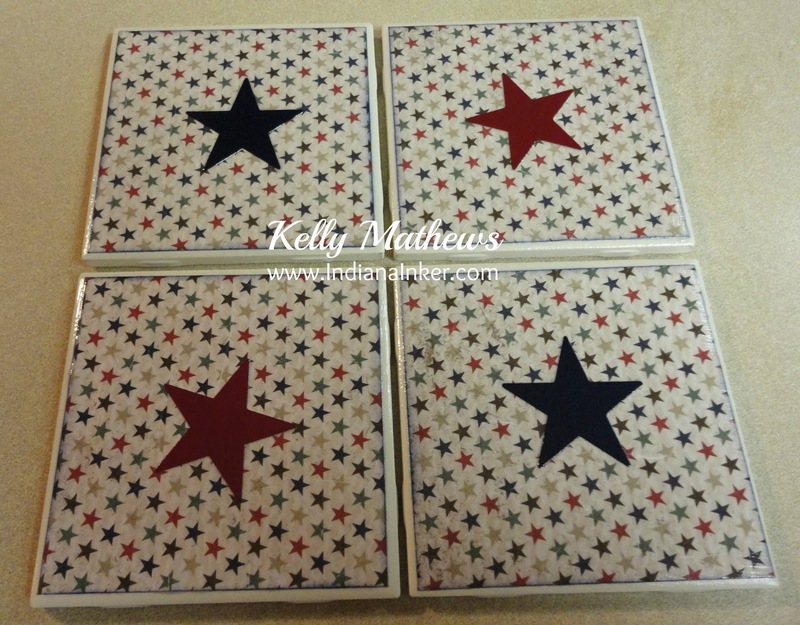 I used unfinished wooden stars and sponged them with Stampin' Up! inks Night of Navy and Cherry Cobbler. I've had the M&M flannel for years. These were also very quick and easy. I used this tutorial. 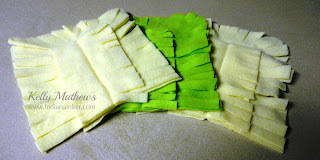 These took about 10 minutes to make from this tutorial. 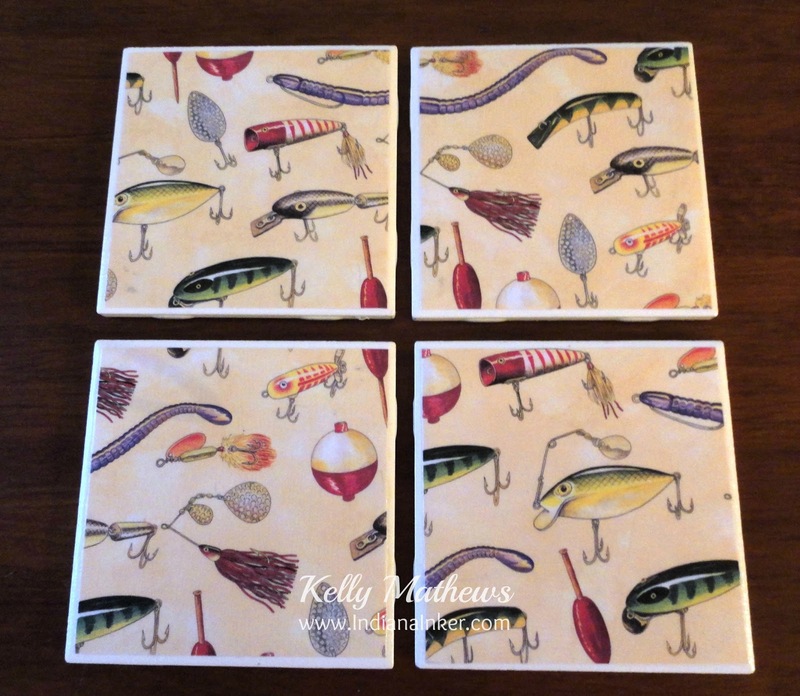 Great gifts there Kelly! 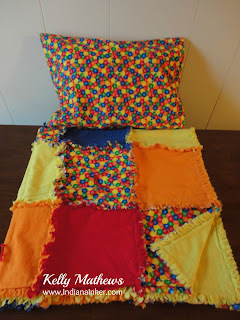 I do love that M&M flannel fabric!! What great ideas! 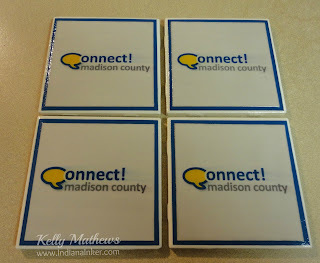 I made tile coasters with cocktail napkins for my mom for Christmas 2011 and they turned out great. I love yours!